Past boxes previously curated by My Chronicle Book Box. 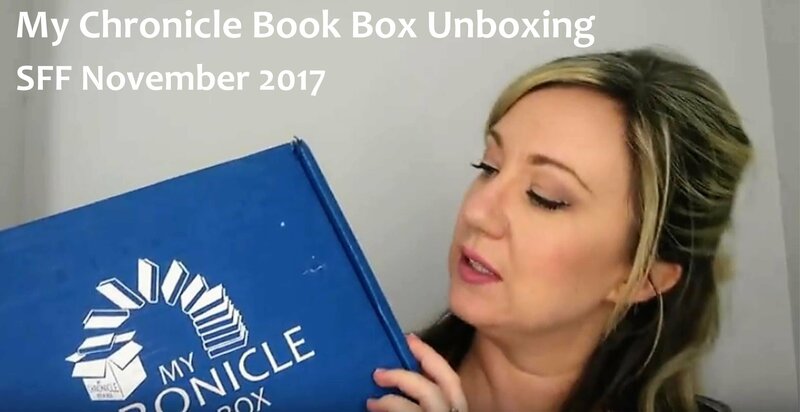 A My Chronicle Subscription Book Box Unboxing Video of our November 2017 Science Fiction and Fantasy Quarterly Book Box, featuring 3 books and 5 gifts. Thank you Lizzimia for the great video! 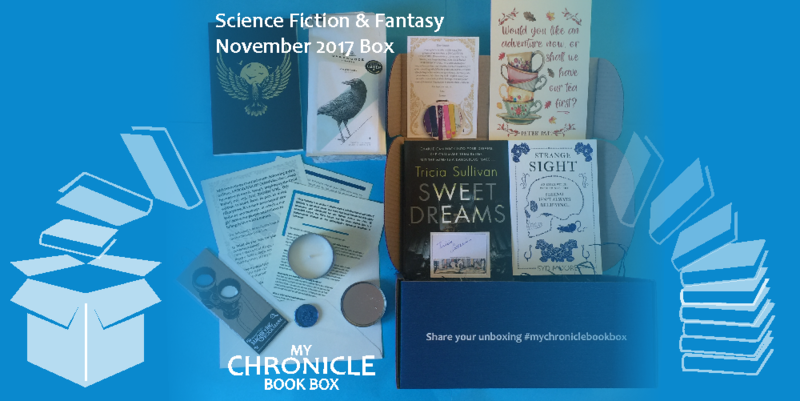 Our November 2017 Science Fiction and Fantasy box contained the following great reads and goodies: Sweet Dreams by Tricia Sullivan along with a signed bookplate and exclusive interview, Strange Sight by Syd Moore and an extra book to celebrate our launch: A Pocketful of Crows by Joanne M Harris proof, postcard and exclusive interview. 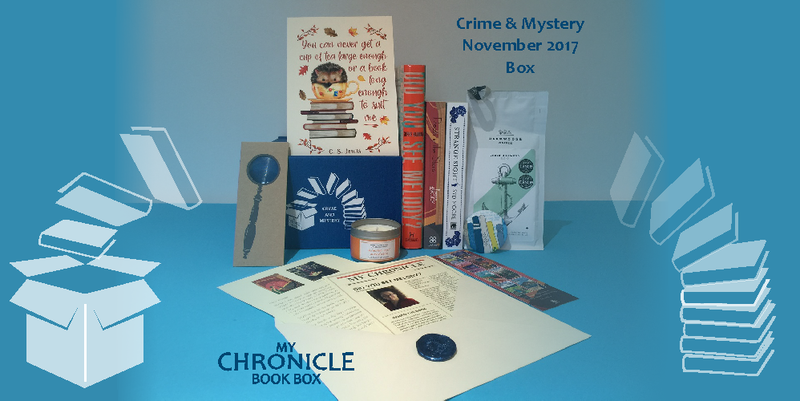 Our November 2017 Crime and Mystery box contained the following great reads and goodies: Did You See Melody? by Sophie Hannah, Death in the Stars by Frances Brody along with a signed bookplate and letter from Frances and an extra book to celebrate our launch: Strange Sight by Syd Moore.